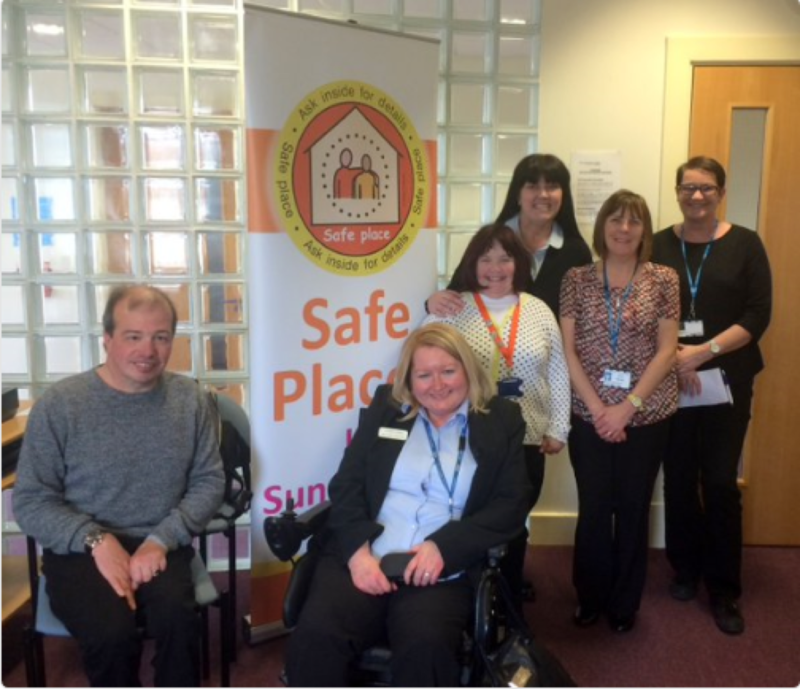 Sunderland People First have been involved in setting up more than 50 safe places in Sunderland. Safe Places help people with learning disabilities if they feel scared or at risk while they are out and about in the community and need support right away. People who might need to use Safe Places carry a Safe Places card with emergency contact details. Places which are safe places include all Gentoo offices, The Bridges Shopping Centre, community centres, museums libraries and Empire cinemas. All safe places have a Safe Places sticker in their window and staff are trained to help. City Hospitals Sunderland signed up to the scheme – click here to find out more and watch our video.